While the majority of travelers to Australia head straight for the iconic sites of Melbourne, Sydney and the Great Barrier Reef, this amazing country offers so much more. Occupying the vast eastern corner of Victoria, Gippsland is one area in particular that travelers should explore; a region of spectacular natural landscapes of unparalleled beauty. Best National Parks in Victoria. With quaint seaside villages, alpine towns and farming communities, unspoiled beaches, ample farm-fresh produce and beautiful lakes, rivers and mountain ranges, we are fortunate to call Gippsland our home. Being such a large area, National Parks are a plenty here, and our days and weekends are spent camping, bush walking, fishing and relaxing on unspoiled beaches along the coast. This is a paradise for those who love nature and the outdoors. The following are the top 5 National Parks to visit in Gippsland, Australia. The top 5 National Parks to visit in Gippsland, Australia. The prom, as it is affectionately known to Victorians, is one of the most popular national parks in the state, encompassing the southern most tip of mainland Australia. Most beautiful park in Victoria. Victoria National Parks map. The prom is renowned for its spectacular scenery of native flora, rain forests, and huge granite peaks that rise from the landscape. Bush walking is popular with many day treks and overnight walks possible. The trek to the Wilson Promontory Lighthouse is the most popular. The lighthouse sits on a rocky peninsula that stretches out into the wild waters of bass straight. The waters around the national park are alive with a huge variety of marine life. Everything from whales, to seals can be seen here, and fishing and camping are popular options for many visitors. Self-contained camp sites include Yanakee, Shallow Inlet, Sandy Point and Tidal River. Wilsons Prom National park. The Buchan caves are located on the outskirts of the town they are named after. The caves reserve consists of a campground, camp kitchen, swimming pool, shop and a park information centre. Victorian national parks. There are 2 caves available in the reserve for visitors to tour through; the royal cave and the fairy cave. The caves were formed over many millenniums by underground rivers cutting through the limestone. The formation of the stalactites which are the feature of the caves are created by water seeping through the ground into the caves over millions of years. Wildlife is aplenty at the reserve. If you camp here you are likely to encounter kangaroo’s hopping around, koala’s in the trees, and possums trying to raid your food supply by night. The pool at Buchan caves is one of the coldest pools in the State, the water flowing straight from an underground cave. Bush walking tracks are popular for short hikes. National parks in Victoria. The formation of the stalactites which are the feature of the caves are created by water seeping through the ground into the caves over millions of years. Wildlife is aplenty at the reserve. If you camp here you are likely to encounter kangaroo’s hopping around. The Alpine National park is the largest park in Victoria. This park joins up with national parks located in New South Wales and The Australian Capital Territory. These joined parks across three states work to protect most of the Australian Alps. The alpine national park encompasses 10 of the 11 highest mountains in Victoria and is renowned for diverse mountain landscapes, wild rivers, untouched forests giant exposed escarpments on open plains. A popular way to experience the park is to drive the renowned great alpine ride which winds itself through the highest altitude roads in the state offering uncompromising panoramic views of the Victorian alps. Best hiking in Victoria. 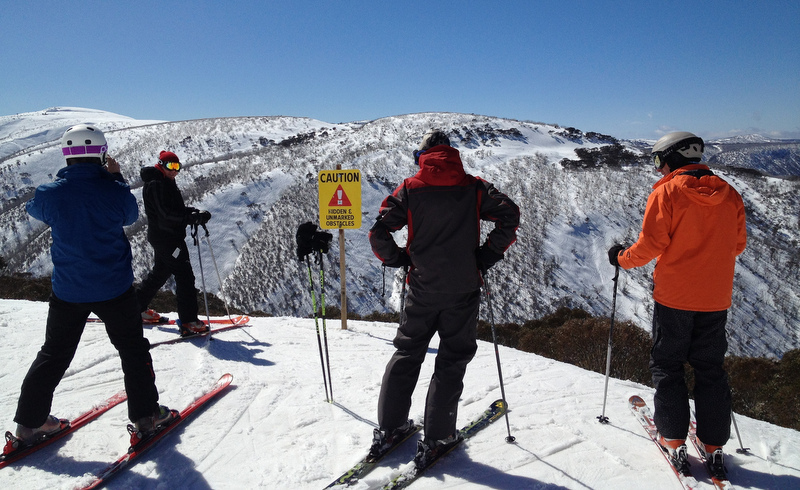 Winter Ski resorts such as Mt Hotham, Dinner Plain fall in the Gippsland region of the park. These resort towns offer downhill, cross country skiing and snowboarding for all skill levels. 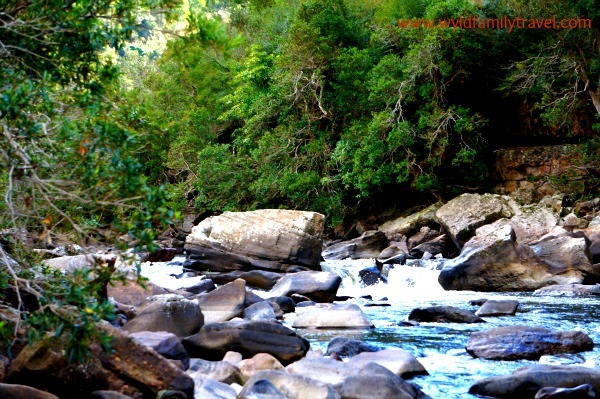 In the summer months, these small towns become a mecca for bush walking, mountain biking and fly fishing enthusiasts. This national park is for those looking for impressive wilderness and river scenes. The Mitchell River cuts its way through deep and remote gorges in this park. The river meanders through some of the most unique flora and fauna in the state some of which is indigenous to this area only. The best way to see the park is via white water rafting where you can experience the tranquil water and demanding rapids the characterize the Mitchel River. It’s recommended that only experienced rafters take the river on alone, though tours are available for beginners. Things to do in Gippsland. Numerous walking tracks are situated throughout the park that take you through forests of wattle tree and moss-covered rain forests. Fishing for trout in remote area’s of the river is popular too. Hunters stalk deer during the season while campers enjoy the tranquility of the area. The Den of Nargun can be visited which is associated with the home of a beast in Aboriginal culture. Cape Conran National Park is located in far North Gippsland near the township of Marlo. This is one of the most remote and wild sections of the Victorian coastline. Things to do in west Gippsland. What’s on in Gippsland today? Untouched and rugged are words that come to mind when describing this part of the coast. The park features the self-guide Cape Conran nature trail for the hikers. Rock pooling swimming and fishing are popular activities for day trippers and campers in the park. Best things to do while in Gippsland. Scuba diving and snorkeling are recommended at the west cape beach and salmon rocks. This area is inhabited by seals and a wide variety of sea life that live bull kelp forests that reside under the water. Our choice of accommodation in East Gippsland is Country House Retreat. The ultimate vacation retreat, this contemporary cabin rental is just minutes from Lakes Entrance and Metung. Situated in lesser known Nungurner, this is a unique rural homestead nestled on 50 acres of stunning countryside, It provides the perfect setting to retreat, relax and rejuvenate, and is the ideal base for exploring everything East Gippsland has to offer. 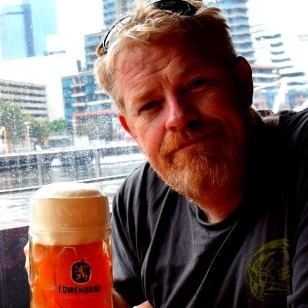 Mark is a father, husband, travel planner, savings expert, beer connoisseur, photographer, social media tragic, castle and UNESCO seeker. He got the travel bug way back in 1999 and together with his wife, he documents his family’s journey on Wyld family Travel. His two daughters Willow and Marley were infected with the travel bug at a young age, and are obsessed with discovering all the different wonders of the world. Through the their travels, they are hoping to inspire as many people as they can to get out there and explore the world, and send the message that it’s not too hard, too expensive or too restricting to travel with small children. Travel is a wonderful experience can be had by the whole family! Follow the Wylds on Facebook, Twitter, and Instagram. Photo credits: Mt Oberon summit overlooking Wilsons Promontory by Long Zheng. A shiny beach by Chris Ford. Buchan cave by Pat Scullion. Hiking to Mount Speculation in the Victorian Alps by Tommy Miller. Ski season at Mt. Hothman by Samantha Bell. Thanks Amelie! I totally agree with you that Australia should change the working holiday age to 35, so many people are exploring the world at all ages now, that I don’t know if I agree with having an age limit on a visa like this. Career breaks are really becoming a big thing. Awesome photos! I am sure Australia’s national parks are as varied and beautiful as the US. I can’t wait to spend my time there starting 2018 when my daughter migrates down under! Thanks Carol :) I’m a little bias being Australian myself, but I would say even more so. The thing I love about Aus parks over the US is that they’re not regulated nearly as much as the parks in the US, and you can have a really authentic experience with nature. We found parks in the US to be super highly regulated, almost to the point of theme parks at some points with the amount of man made walkways, paths, signage etc. Looking forward to welcoming you to our country in 2018! You’ll love it … great excuse to visit too! 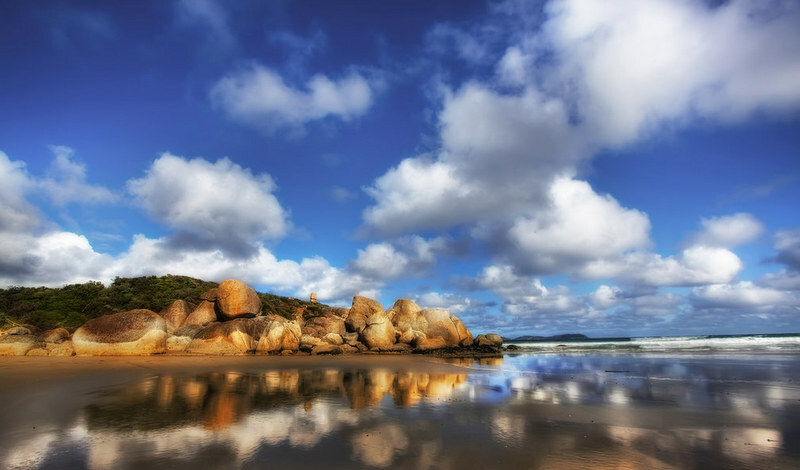 I love the 2nd photo of Wilsons Promontory National Park. What Camera are you using? Beautiful National Parks! I’ve heard of these and you right when you say that usually other Australian places are thought of first when visiting. I definitely need to visit Australia soon… for a year! So I can see all of these places. Visiting National Parks is one of my favourite things to do and I’ve visited many in different countries. Will look a bit more into these. Glad you enjoyed Mark’s post Hugo – you can get a working holiday visa for Australia if you’re under 30 and that allows you to visit and work for 12 months. We definitely have some amazing national parks on offer here (over 500 of them!!) so if that’s your favorite thing, Australia is the perfect destination for you! Gippsland sounds like an amazing place. Earlier today I put it on my to-do list from another of Mark’s posts. Now, I read all about the activities you can do in these gorgeous national parks. I’m sold! The photos are stunning, and I would love to photograph those landscapes myself. Australia has been on my travel plans for a long time. Every time a read a post about Australian natural wonders my heart skip a bit. 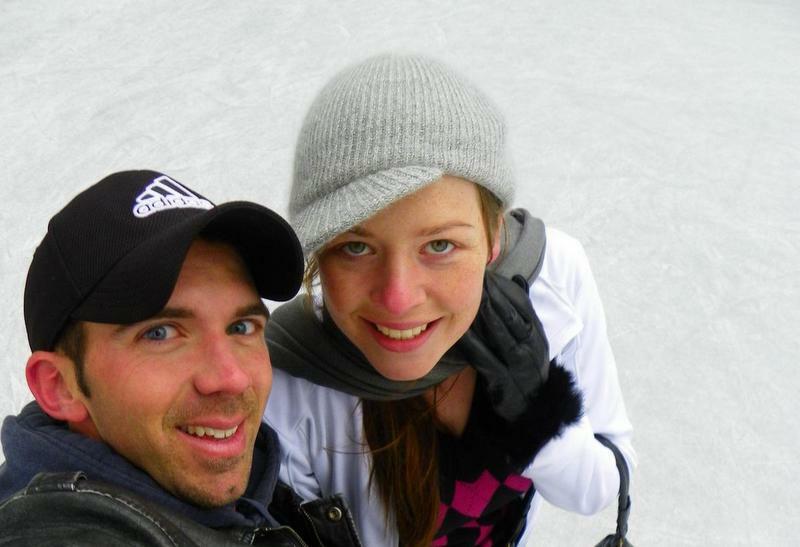 Definitely is time for my husband and I apply for the visa (what is not easy for a Brazilians) and make our Aussie trip happen! I hope you both have the chance to visit soon Nat – really is such a wonderful country to explore, make sure you spend at least a couple of weeks here when you do plan to come; so much to see and do! I feel like I would go crazy over the national parks anywhere in Australia. I just started to love hiking and I’m certain that I’ll get my fix of that down under. I particularly have my eye on the Prom! And even the cave park sounds like such an adventure. We have over 500 of them so you’ve definitely got a lot of choice!! If you love hiking, Australia is definitely the place for you – bushwalking opportunities galore here, and each location is totally different from the next. Some lead to underground caves, some to sacred aboriginal sites, some to the coast. You’ll seriously love it here! Thiscomes in handy as I research my first trip to Oz. Now the hard part is narrowing which park I want to go to! Many of the parks in and around the major cities are very accessible, and there is quite a lot of choice, so you’ll be able to find something which suits your interests and needs. Have a great time in Gippsland Lori! What’s the most typical thing that you liked most? I have lots to see when I finally make it back to OZ! Thank you for sharing andkKeep posts like this coming! I love them! Will never get tired of posting about Australia – hope we can welcome you back downunder soon! Oh wow, now I am really convinced that Australia is beautiful. I keep postponing because I am not in the area but I should definitely find my way there. Thanks for the awesome list, Mark!